Above: The MV Montrose travelled to Immingham from Egypt with 26,000 tonnes of fertiliser on board. ABP’s Port of Immingham today welcomed a substantial quantity of high-grade fertiliser for distribution to farmers across the country, from one of their oldest customers. International grain, fertiliser and seed merchant Gleadell Agriculture has been importing and exporting a range of agribulk products at Immingham since the 1970s, finding markets for crops and accessing quality products for Britain's farmers. 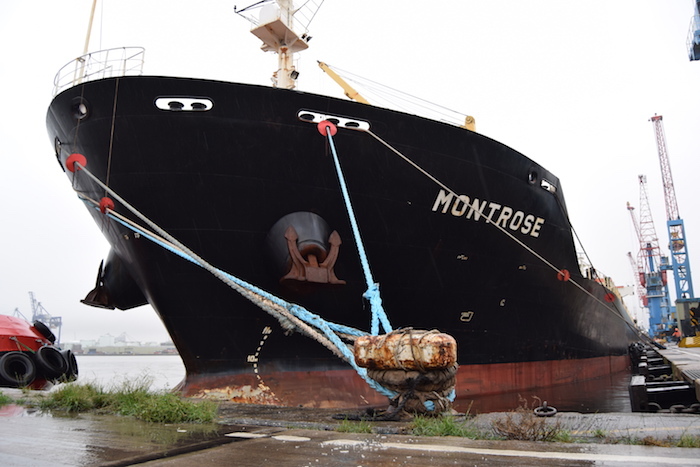 The vessel, called the MV Montrose, contained 26,000 tonnes of high quality granular urea, which is bagged and distributed to farmers as essential crop nutrition. The cargo has been shipped to Immingham from Alexandria in Egypt. Supporting local farmers by helping to maximise crop yields, the shipment will require around 900 lorries to be distributed across the length and breadth of the country. ABP’s dedicated bulk terminals in Immingham handle around 1 million tonnes of agribulk-based cargoes each year and a further investment boost for the site was recently announced by the port operator. Gleadell works exclusively with both CHS and SKW Piesteritz on bringing an array of agribulk commodities to the country.